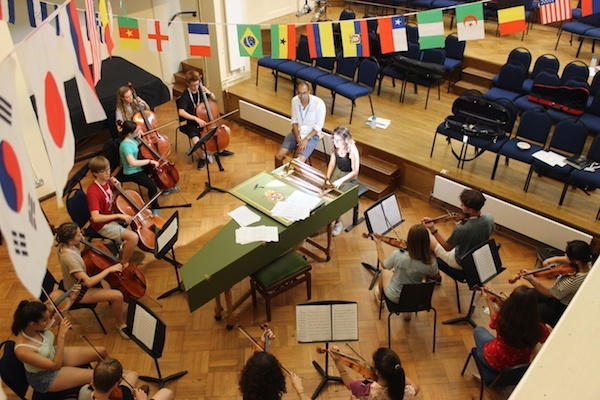 This week we are welcoming Tim Redmond back to Winchester, this time to conduct our orchestra. 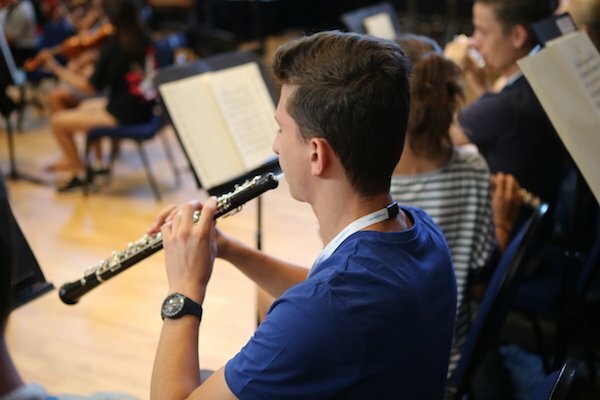 He began the day rehearsing the overture to Mozart’s Marriage of Figaro before getting everyone focused on Beethoven’s majestic 5th Symphony. 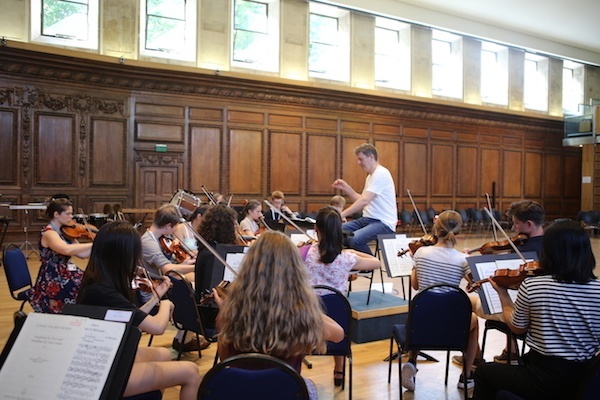 The orchestra showed real enthusiasm for the challenging repertoire and are already excited to learn more from such an inspiring conductor. 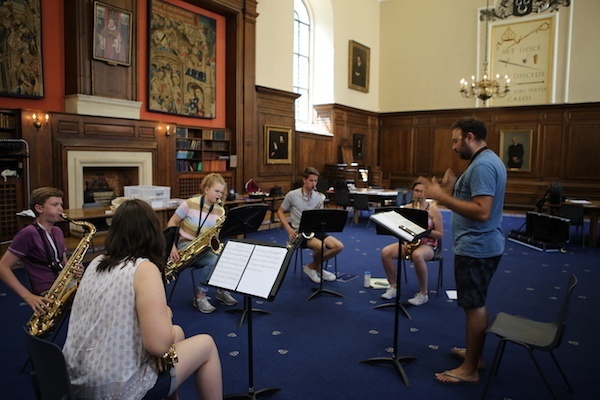 The choir will be working with the wonderful Robbie Jacobs this week learning new and varied repertoire. 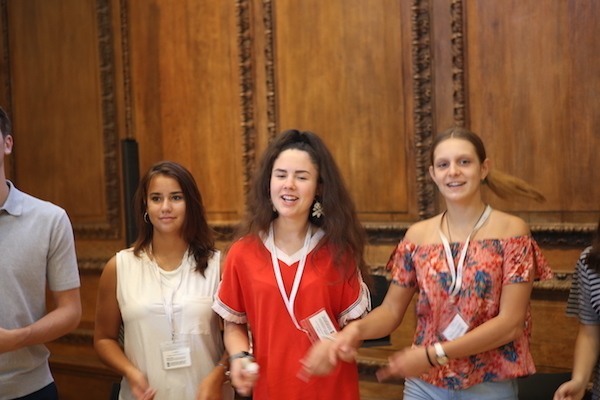 Yesterday they sang through all the new repertoire and also all had their individual singing lessons. 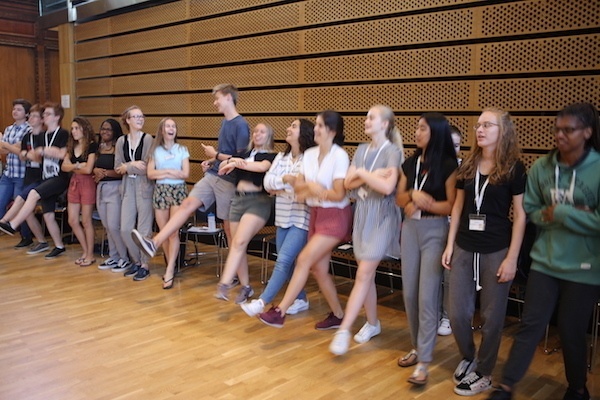 The choir also talked about protest songs and what spirituals meant in their original contexts and how they can be applied to new ones. 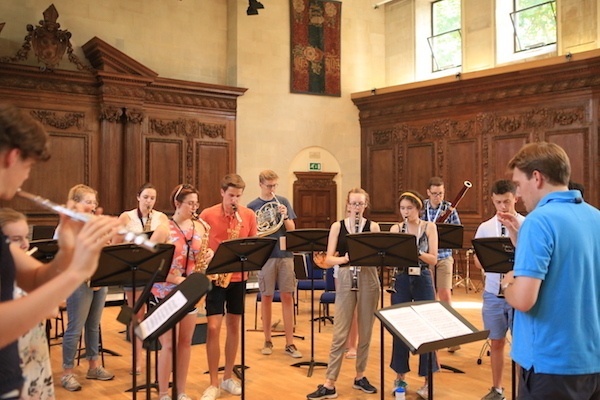 The saxophones started their day going through new repertoire, that included a rather challenging Bach fugue. 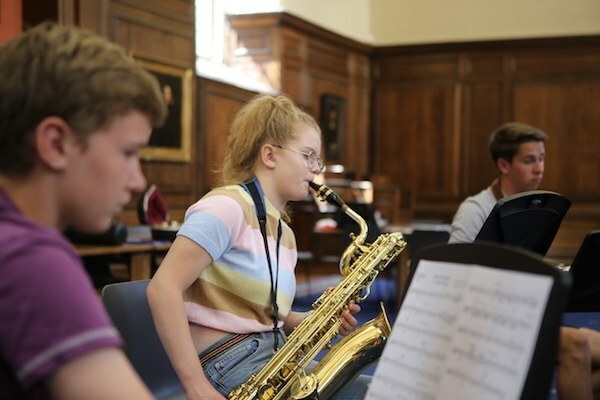 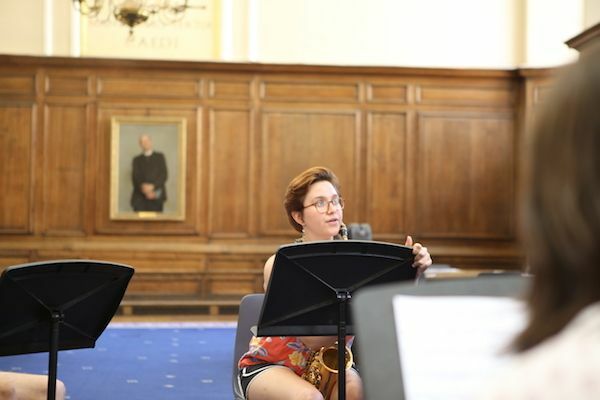 Most of the students tried playing all the different types of saxophones and the second part of their morning consisted of a session on extended techniques and learning more about overtones and the production of altissimo range. 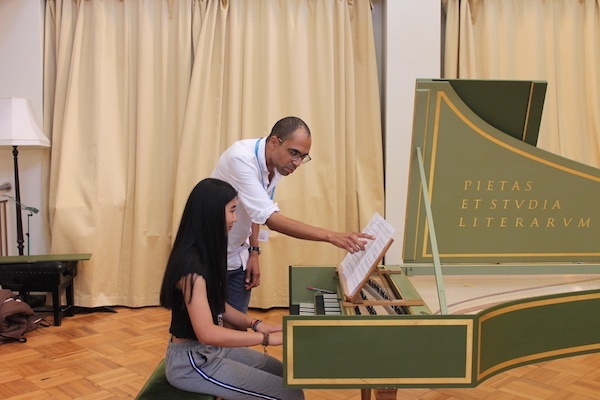 The pianists welcomed back Joe McHardy who gave harpsichord sessions to all the students, teaching them how to play baroque music stylistically and elegantly. 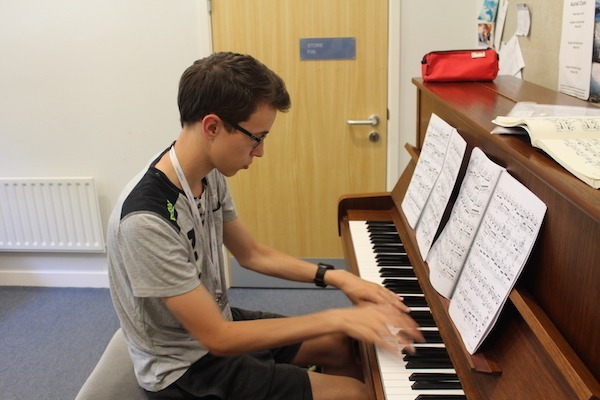 The piano students also had individual lessons and practice sessions, helping them to prepare for Friday’s lunchtime piano recital in the beautiful Winchester Cathedral. 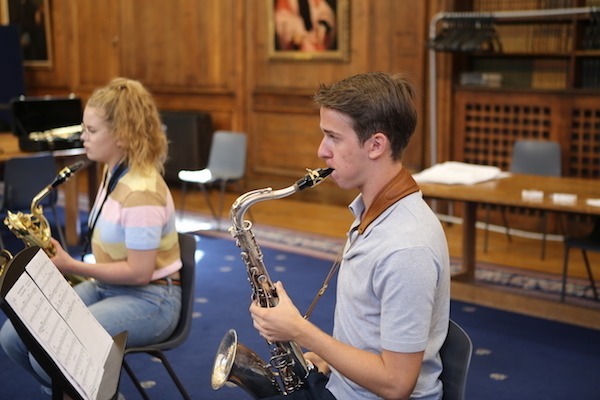 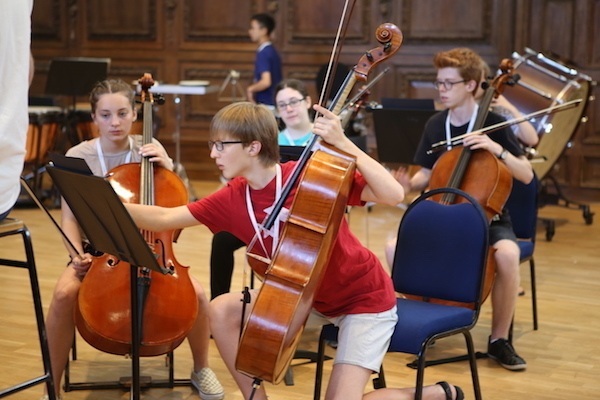 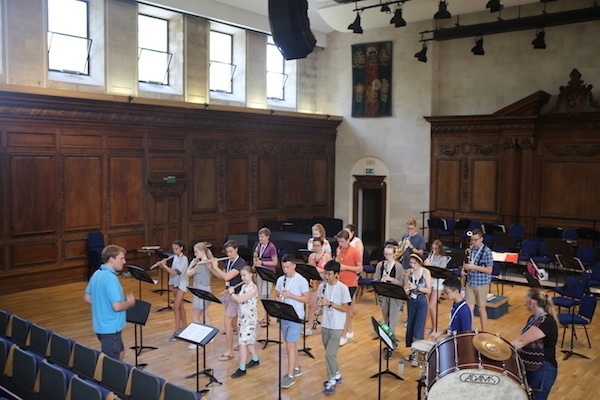 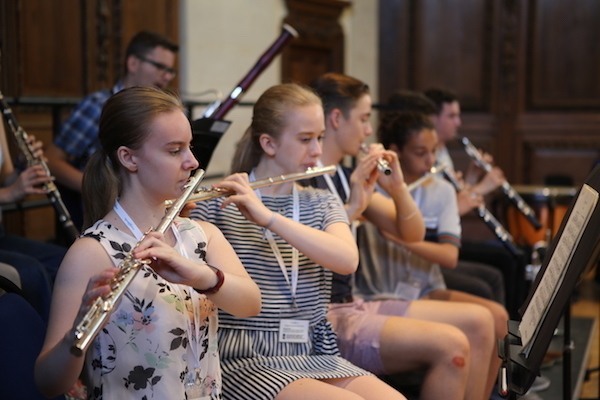 The afternoon musicianship session was divided into a baroque workshop for strings and continuo with Joe, a ‘Composer Challenge’ for pianists where they researched the life and works of a composer to present to other students. 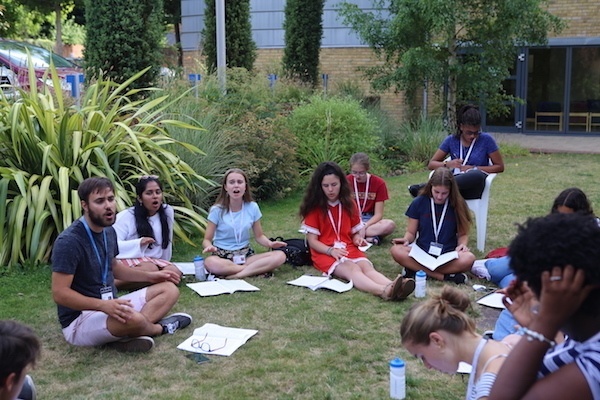 The wind and brass had a session on marching band music and the singers had a vocal health workshop, learning about how to breathe properly and support their voices without doing any damage. 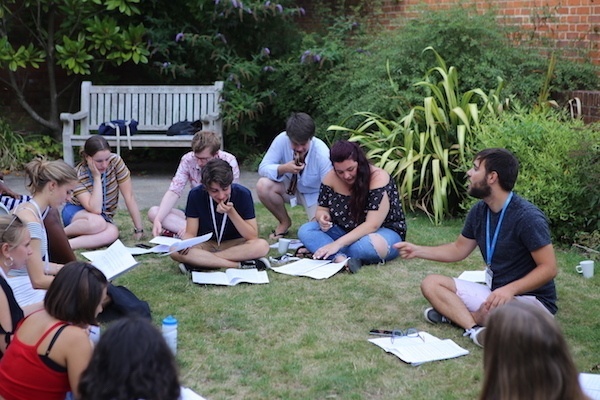 After a busy weekend of music making and welcoming new arrivals, the students relaxed with a movie night watching the musical, The Greatest Showman. 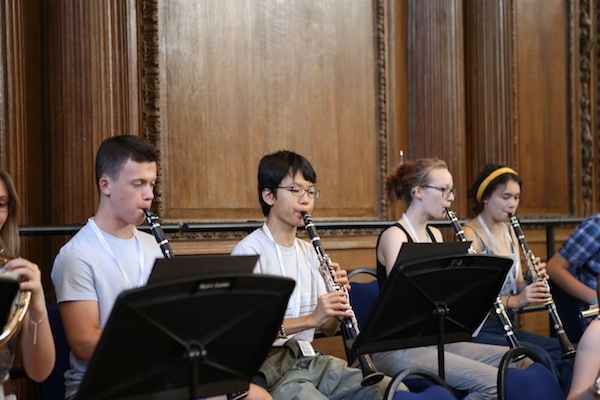 Connie, Ryotaro, Giles and Isobel – team Clarinet! 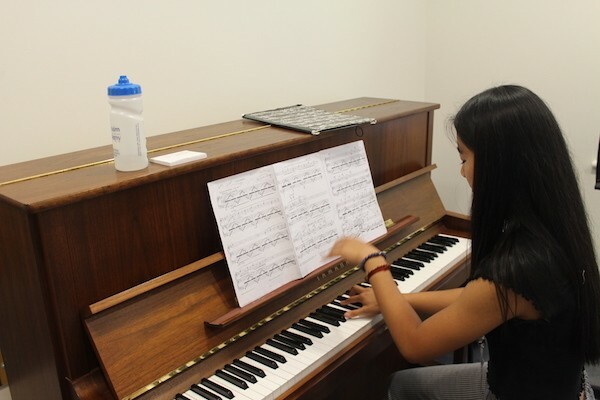 For transposing at sight fantastically all day.